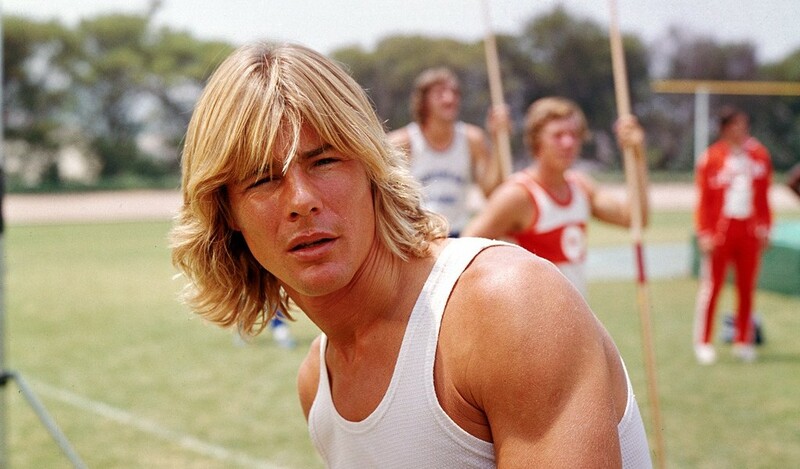 World’s Greatest Athlete, The (film) Discovered in Africa by two U.S. college sports coaches, Nanu, a blond boy raised by natives after the death of his missionary parents, is an incredible athlete. Entered in a Los Angeles NCAA track-and-field competition, he wins all the events despite voodoo magic being used against him. Released on February 1, 1973. Directed by Robert Scheerer. 92 min. Stars Tim Conway (Milo), Jan-Michael Vincent (Nanu), John Amos (Coach Archer), Roscoe Lee Browne (Gazenga), Dayle Haddon (Jane), Billy De Wolfe (Maxwell), Nancy Walker (Mrs. Peterson), Danny Goldman (Leopold Maxwell). Bill Toomey, a world and Olympic decathlon champion, acted as a technical adviser to the film crew. The film also included sportscaster favorites Howard Cosell, Bud Palmer, Frank Gifford, and Jim McKay. For one scene in which a 3-inch-tall Tim Conway, under a spell by Nanu’s witch-doctor godfather, falls into a lady’s handbag, Disney propmakers fashioned a number of giant props: lipstick, compact, hairpins, needle and thread, safety pins, reading glasses, comb and brush, pills, keys, and matches. Ordinary items, but these particular ones were 24 times normal size, weighed 1 ton, and cost over $15,000. In other scenes, Conway encountered many other giant props; a huge telephone cost the studio $7,900. A cocktail glass was 7 feet tall and held a 1,245-gallon old-fashioned displaced by ice cubes 2 feet square. As the Disney press release quipped: “At 40 shots to a quart, consider the possibilities!” The movie was filmed at Caswell Memorial State Park, near Stockton, California, and at Lion Country Safari south of Disneyland, which doubled for Zambia. Scenes were also shot in Merrivale and Newhall, California. Released on video in 1986.